Gangs of desperate Calais migrants pose violent threat to truck drivers. Life is getting tough for Estonian trucking companies on economic community roads. Firstly due to policemen hunting refugees sneaking into cargo. Secondly, competitors are rolling into Europe from the shrinking market in Russia. ASi Schenker Eesti tegevdirektor Janek Saareoks. Indeed, says Mr Šehovtsov, drivers from some neighbouring nations have done just that. If a truck driver makes €1,500 a month and is offered €1,000 to carry a migrant, it’s tempting: get a dozen in the cargo and earn another year’s wages. 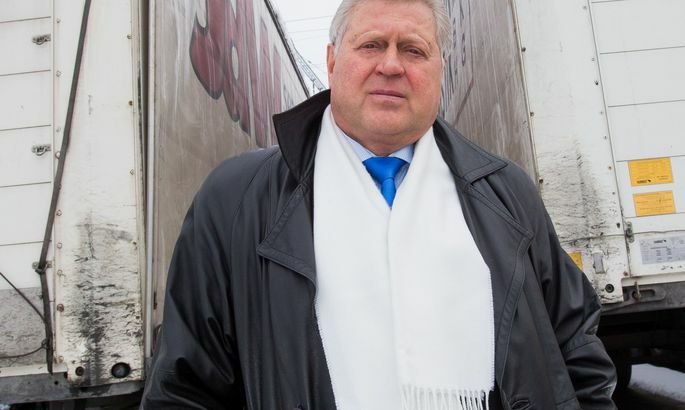 For Estonian truckers, it began to get tougher over a year ago as nations begun to take the initial serious measures to stop the movement of refugees. Regrettably, in the eyes of lots of policemen Estonians are counted as third country guys along with colleagues from Czech Republic and Poland. And it is getting worse with border points being built on the migration routes and all carriers are waiting in long lines despite the check being random. 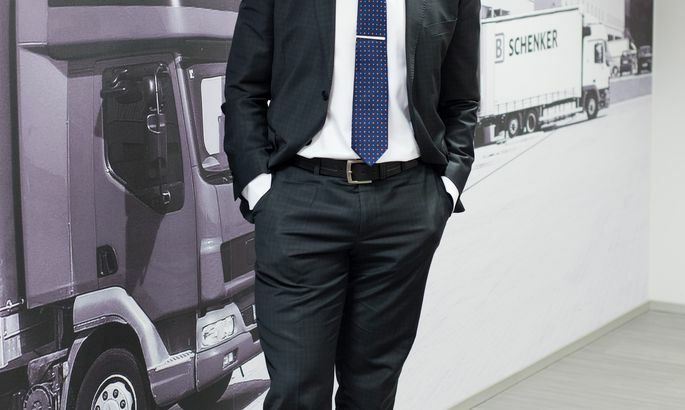 As for years Mr Šehovtsov’s company has been working in Spain and on England-Italy routes, his drivers prefer the longer trips in these countries to avoid sitting in the check points. By the British Home Office, an unique self control method has been imposed on drivers and if this is adhered to, the driver has it easier. This means that before crossing the border, a driver needs to stop and fill a check-list reflecting inspection of the truck and the cargo. «This is inconvenient for sure as it takes nearly 1.5 hours of additional stop, but we have entered a contract regarding that with the UK authorities,» said Mr Šehovtsov. Meanwhile, the Russian recession is adding its own touch to make the transport business harder. The truck drivers earlier clogging up Russia’s border points have now headed towards Europe, adding to the competition and bringing with them the behaviour and business culture acquired in Russia. «We have to be reconciled to the fact that when a driver from Estonia makes a mess, they never remember him after the company but after being from Estonia. Therefore, we are having major headache by those coming around from the Russian direction,» lamented Mr Šehovtsov. As the competition toughened, nations like Germany, Denmark, Belgium and Holland begun to impose extra requirements on truckers in a way that hardly enhances security while definitely turns up costs. In addition to checking the wages of the drivers, they are requiring that for rest the drivers sleep in hotels. «A couple of months we got fined for our driver spending the night in the truck though all conditions for him the rest there have been created,» said Mr Šehovtsov. Those in logistics business are hoping that Schengen will still be preserved as otherwise European economy will have brakes applied. Restoring the borders within Schengen would indeed enhance security, but it would backfire on logistics. The movement of goods would slow down and costs would increase for such companies who have not created large stocks in storage, having counted on speedy delivery. «I do not think it probable for borders to be totally restored. The states will do that in the directions most under threat. They might close the bridge between Sweden and Denmark for instance. Such a step would have a great impact on us as trade with Nordics is nearly a third of out volumes,» added Mr Saareoks. In order to check the inflow of migrants, Europe is considering closure of Schengen i.e. restoring passport checks on borders which would cost up to €1.4bn as seen in a Bertelsmann Foundation study published this Monday. In the worst case scenario which means import goods prices up 3 percent, it would cost Germany €235bn in 2016–2024, and €244bn for France, mediated Reuters. In the most benevolent scenario, imported goods price would go up 1 percent and the EU would suffer loss of €470bn in the decade ahead. In the worst case, the sum would be €1.4bn i.e. ten percent of GDP. Schengen space was set up over 30 years ago and currently it holds 26 member states. Meanwhile, the migrant crisis has also applied pressure on passport-free travel. Several states have restored documents check on their borders; this has raised questions about viability of Schengen accord. On Sunday, German interior minister Thomas de Maizière told their public broadcasting that in order to avoid collapse of Schengen, a solution needs to be found within two weeks. In addition to a symbolically great decline for the EU, this would also spell longer transport times thus raising prices of goods for enterprises and end users. Also, the end of Schengen would lift costs for other nations – with USA and China, it would be €91bn and €280bn respectively in the decade ahead.